Prof. Claudio Santi was born in Fabriano (AN) in 1967. In 1992 he received the MD in Pharmaceutical Sciences at the University of Perugia discussing a thesis in Organic Synthesis. He obtained his PhD in Chemical Sciences in 1996 under the supervision of Prof. Marcello Tiecco and in 1998, supported by a fellow of the Swiss National Foundation, he spent a period as visiting Scientist in the group of Prof. Thomas Wirth at the “Institute fur Organische Chemie” in Basel University. He has been invited as visiting professor in Jan Dlugosz University of Czestochowa-Poland (2013) and Universitade Federal de Pelotas - Brazil (2014). Furthermore, he received Erasmus fellowships for teaching organic chemistry in Jagiellonian University in Krakow (1997) School of Chemistry Cardiff University (1999), Univesidad Complutense de Madrid (2016). Since 2017 he is departmental deputy for research and technological transfer. 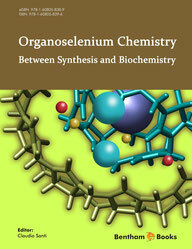 Prof. Santi is a internationally recognized expert in organoselenium chemistry. He has pioneered the studies on the use of optically pure diselenides in asymmetric synthesis studying the role of intramolecular selenium sulfur interactions as relevant conditions for the transfer of chiral information in electrophilic inter and intramolecular selenylation reactions. More recently he demonstrated the reactivity of some organoselenium reagents in “on-water” conditions and he was the first to envision the possibility to use selenium containing catalyst in Green Chemistry (Angewandte Chemie International Edition 48 (45), 8409-8411). On this area, he developed two main fields of interest: I) new eco-friendly protocols for the oxidation of organic substrates following a mechanism inspired by that of Glutathione Peroxidases and II) the preparation and use of the first class of bench stable nucleophilic zinc selenates demonstrating they peculiar reactivity in water suspension. Some authors named these reagents after him “Santi’s Reagents” and the lead compound (PhSeZnCl) in 2016 becomes commercially available. He recently extended his scientific interest to the biological activity of some organoselenium derivatives as well as to the investigation of the catalytic mechanism of naturally occurring selenoproteins. More in detail he developed new organoselenium compounds having promising activities as antiviral (HIV) antibacterial, hormetic, and selective enzymatic inhibitors. Current interest is focused also on the individuation of new bioorganic models for the elucidation of the mechanism of Iodothyronine deiodinases and the development of novel mimetics of this enzyme. Prof. Santi has co-authored 125 peer-reviewed articles in indexed journal, edited 1 book and 2 special issues, and he wrote 9 book chapters. His work has been cited ~2385 times as of March 2018 (ISI Web of Science). He has an h-index of 30 (combining the best citations from ISI Web of Science + Scopus) and 31 from Scholar and most of his papers involve national and international collaborators. 2007 Tetrahedron: Asymmetry "Most Cited Paper 2004-2007 Award"
2017 nominated as a Fellow of the Royal Society of Chemistry (FRSC). He acts as reviewer for several journals belonging to ACS, Wiley, RSC, Elsevier, Thieme, Springer. MDPI, Bentham, Taylor and Francys. He was/is member of several editorial and Scientific Boards: Associate Editor of Current Green Chemistry (2018-on); Regional Editor of Recent Patent on Catalysis - Bentham (2012-2014); Regional Editor of Current Green Chemistry - Bentham (2016-2018); member of the Advisory Board of The natural Journal Product (2014-on) member of the Editorial Board of Mini Review in Organic Chemistry (2016-on) member of the Editorial Board of Molecules (MDPI) (2016-on), member of the Editorial Board of International Journal of Molecular Sciences (MDPI) (2016-on). He is in the Scientific Committees of Electronic conferences on Synthetic Organic Chemistry, and in the scientific advisory Board of the International Conferences on Chemistry of Selenium and Tellurium (ICCST) and of the Halogen Chemistry (HALCHEM). Over the last 10 years Prof. Santi has given plenary, keynote or invited lectures at meetings and University in Brazil (x 8), Italy (x 6) Poland (x 11), and Turkey (x2), Japan (x2), India, UK, Greece. He chaired the Workshop WSeS-2 (2013), WSeS-3(2014) and he has served on the following International Scientific Program Committees in the last 5 years: Six consecutive Electronic conferences on Synthetic Organic Chemistry from (ECSOC-15) (ECSOC-20) edited by MDPI (Molecules); 1st International Meeting of Molecular Chemistry, Chemometrics and applications (RICMCA-2014) 29-30 May 2014 Bèni Mellal Morocco, He is currently designed Chairman for the international Workshop on Selenium Sulfur and Redox Catalysis WSeS-7 (Perugia 2019), for the International Meeting on Halogen Chemistry HALCHEM (2019) and co-chairman of International Conference on Chemistry of Selenium and Tellurium ICCST14 (2019). 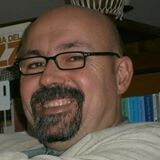 Since 2001 he is professor of “Physical Methods for Organic Chemistry” 72hr/year (9CFU) and since 2014 Professor of “Organic Chemistry of Natural Compounds” 42 hr/year (6 CFU) at the Department of Pharmaceutical Sciences of Perugia University. From 2003 to 2011 he was professor of “Spectroscopic Methods for Biomolecules” 32hr/year (4CFU) at the school of Biotechnology University of Perugia. Since 2006 he supervised (or co-advised) more than 70 experimental diploma work thesis, 6 incoming and 18 outgoing Erasmus Students, 5 PhD students 4 PhD Sandwich from Brazil and one PhD Sandwich from Morocco and he was supervisor of 3 post doc student. The research project and the mobility programs of prof Santi are/were supported by public funds (University, MIUR, Regione Umbria); consortium of Universities (CINMPIS); national and international foundations/institutions (Cassa di Risparmio di Perugia, CAPES, FAPERGS; University of Melbourne); and private companies ( ABOCA srl, Sterling Italia, Sterling Chemical Malta Lts, Selenium Therapeutics EcoTech, L’Oreal Paris).